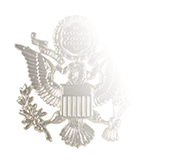 Wear a tasteful gold tie tack or tie clasp with your Full Dress Blue or Service Dress Blue uniform that shows your pride of service with the Senior Chief Petty Officer Insignia. 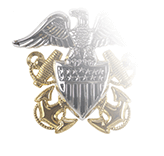 Featuring the renowned CPO insignia of a fouled anchor and the “USN” initialism, the Senior CPO insignia’s position of one rate above CPO is indicated by a single downward-pointing star that recalls the insignia worn by line officers. Tie tacks or clasps are worn an inch below the middle of the black four-in-hand tie (regular or pre-tied), with the bottom of the tie resting no more than an inch above the buckle. 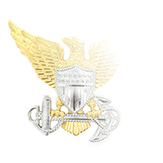 Promotion to the E-8 rate of Senior Chief Petty Officer is a stellar achievement for any enlisted Sailor, but it does not mark an end to career development and education. 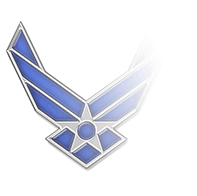 In 2014, the Navy announced that, starting in Fiscal Year 2017, all Chiefs promoted to E-8 would be required to complete the Navy Senior Enlisted Academy or attend an equivalent Senior Enlisted Academy hosted by another branch of the U.S. Armed force in order to qualify for consideration for advancement to E-9 Master Chief Petty Officer. 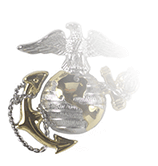 Before attending the SEA or equivalent institution, Senior CPOs must complete nearly six dozen hours of Primary Professional Military Education.